Screen sharing is the easy way to collaborate with a friend or colleague. Making big travel plans online? Use our screen share feature and do it together. Or why not share your screen and give grandma a quick demo of how you use Skype, so she can start using it too. 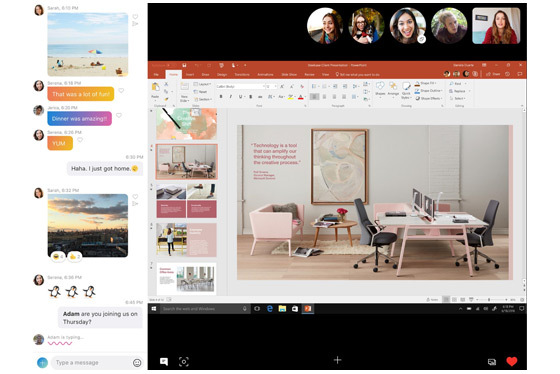 Use our screen sharing feature with anyone else on Skype – and collaborate on projects, plans, and more.